On the east coast of Similan Island 5 (Koh Ha) you can find Anita's Reef. The dive site stretches from the small gap between Island 5 and 6 (Koh Hok) with a depth of only 5 meters to the southern tip of Island 5 with an extended depth of 26-28 meters. This is a gentle sandy sloped reef boasting some stunning coral bommies and areas of both table corals and staghorn corals. A big stunning bommie located on the south east makes this dive site a must-see and attracts many photographers. From the sandy bottom base at 20 meters to the top of the rock at 12 meters, this fantastic rock is surrounded by various colourful soft and hard corals, gigantic sea fans, and a big amount of marine live. In Thai they call this spectacular rock "Hin Muan Deaw" meaning as much as "Whole roll of film rock’ because on this place alone, you can easily spend an entire roll of film. On the western side of Similan Island 5 Tuna Wreck lies just beyond the reef edge at 28 meters at top of the wreck. This side of the island is called Hideaway Bay. 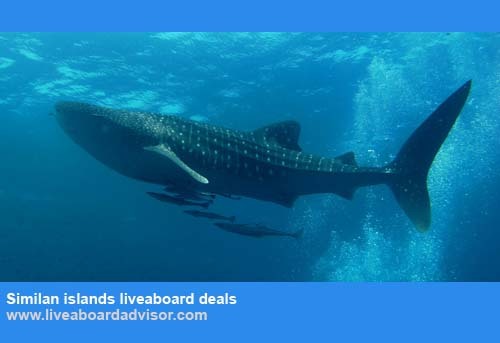 Anita's Reef is an easy dive site with gentle currents, making it an ideal check-out dive on a Similan liveaboard cruise. Anita’s Reef offers both reef and boulders. Add a wreck and a stunning bommie covered in life to make this site an amazing underwater landscape and a great dive. Most divers start at the buoy south of Island 6 or ;ore to the shallow gap between Island 5 and 6 and swim southward to ‘Hin Muam Deaw” In this area some of the fish life you can expect to see here are lionfish, the colourful Oriental sweetlips and the gorgeous but less commonly seen clown triggerfish. The coral bommies are covered in soft tree corals and sea fans that hide longnose hawkfish. These dendronephthya coral, in shades of golden brown and purple are the ideal hideouts of glassfish and juvenile fish. If you keep watching you'll see bluefin trevally darting in and out swiftly as they hunt the smaller fish. The highlight of this reef "Hin Muan Deaw" is a delight to swim around; it contains a wide range of hard and soft corals and a delightful amount of marine life including a good range of reef fish, shrimps and reef crabs, ghost pipe fish as well as stunning nudibranchs. Huge shoals of glassfish are constantly seen around it. Don't be surprised if the rock takes up most of your dive time on the site, being so excellent for micro-photography. The rock is also a fantastic night dive. The rest of the dive is a nice reef dive. On your way more southwestward are often groups of spotted garden eels on the sandy bottom and blue-spotted (Kuhl's) stingrays buried in the sand. Here you can also see a type of filefish called a blue blanquillo as well as plenty of sea cucumbers. Look closely and you may be lucky enough to spot a whitepatch razorfish. You can finish on the south west tip which consists of a series of giant boulders with a nice channel to surf through. This area is also known as Barracuda Point, although schools of barracuda are not that common any more. 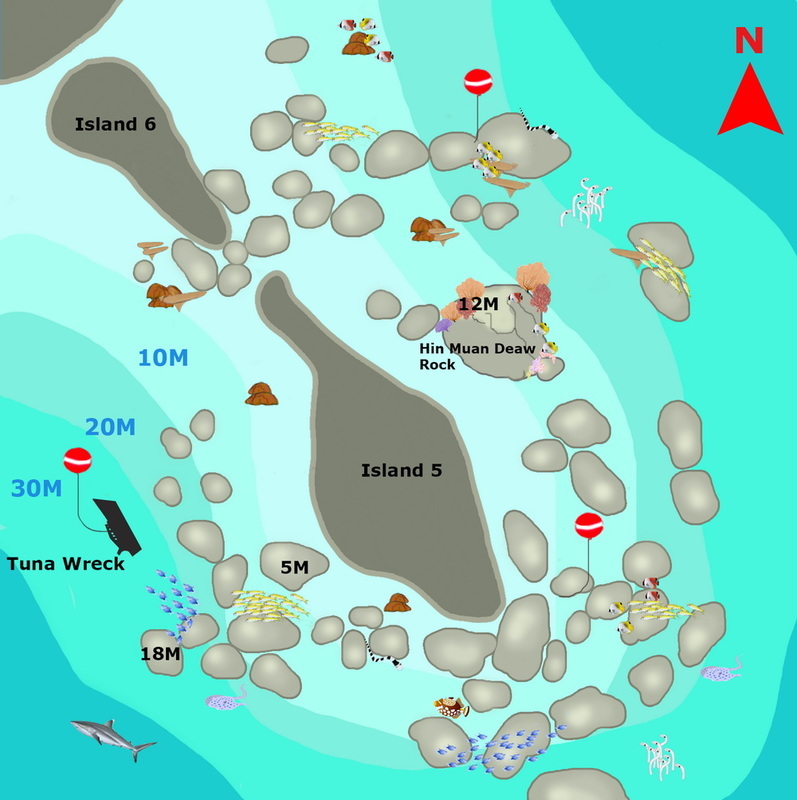 For a second deep dive nearby, Tuna Wreck lies just around the corner, on the west of Island 5. In 2003, the Similan National Park authorities sank a 30m fishing boat south west of Island 5 to create a new dive site known as Tuna Wreck, The wreck is marked by a buoy and sits on a sandy seabed just beyond the outer edge of the reef, with the depth varying from 28 meters, down to the deepest point at 40 meters. 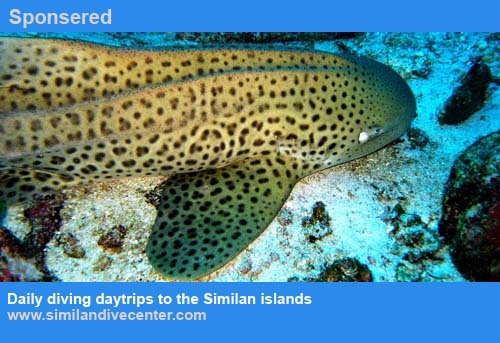 Anita’s Reef is the perfect reef for searching small creatures and is schedules on most Similan liveaboard cruises.